This is my 3rd set of laser fit mats; I will never own another vehicle without purchasing Weather Tech Laser Fit Mats. Simply the very best available. I am in the construction business & one never knows what one will walk into on a job site and then track into the truck. These simply get hosed off and are ready to rock. Thank you! This is the fourth vehicle that I have bought these for. They are AWESOME! I can't tell you how many people ask what they are and if they are worth the money. My reply is they are WeatherTech of course and most definitely. Purchased my first set for a F350 Dually before folks knew who WeatherTech was. I have horses and am in the barn and haul a lot to horse shows across the country. You never know what weather you will run into and these simply rinse off and you are good to go. Best product I've ever bought. This will be my 2nd set of the Lazer measured front mats. Bought a set for my 2008 4Runner, and the carpet looked new when I traded vehicles. I've told everyone that will listen, they need these for their vehicles. I'm 72, and am so proud I've found this product. 100% satisfied! I recently bought a brand new Toyota 4runner for my outdoor needs. I am a neat freak and perfectionist when it comes to cars and the digital Fit floor liners provides me with the looks, quality, durability as well as protection i need from everyday use as well as protection from dirty elements such as mud as well as protection from unwanted accidents such as spills. I would totally recommend this product to my buddies. These fit great keep everything off the carpets. We have two children, 10 and 16 months and a new Toyota 4-Runner. It is a really nice vehicle and wanted to protect our investment to the best of our ability. Nothing can stain the floor in the back seat of a vehicle like the aforementioned children. Gum, spilled milk, baby spit-up etc are no match for the WeatherTech DigitalFit FloorLiners, Plus they look really good! 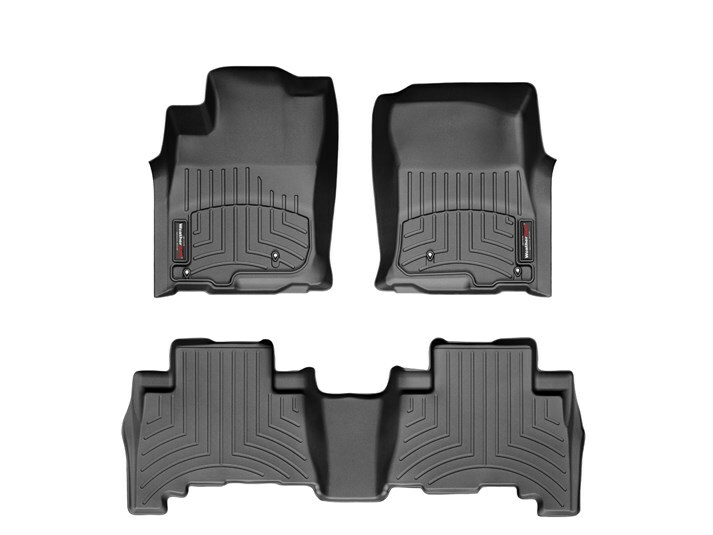 I bought front and rear Digital Fit floor liners for my new 2008 Toyota 4Runner Limited 4X4. The liners look and fit great - I am impressed. It rained hard the day that I put them in. They are already protecting my investment. These floor liners are awesome! I first learned about Weather Tech from an automotive magazine ad. Since then, I have purchased two sets of liners and one set of all weather mats (only because the liners were not available for that particular car). Weather Tech liners are first rate. I have recommended Weather Tech to many friends. The fit and quality are second to none. Every vehicle I purchase from here on out will have Weather Tech liners in them.